New ACT Chief Ambulance Officer Howard Wren: Open communication is crucial to rebuilding trust in the organisation. Photo: ESA. 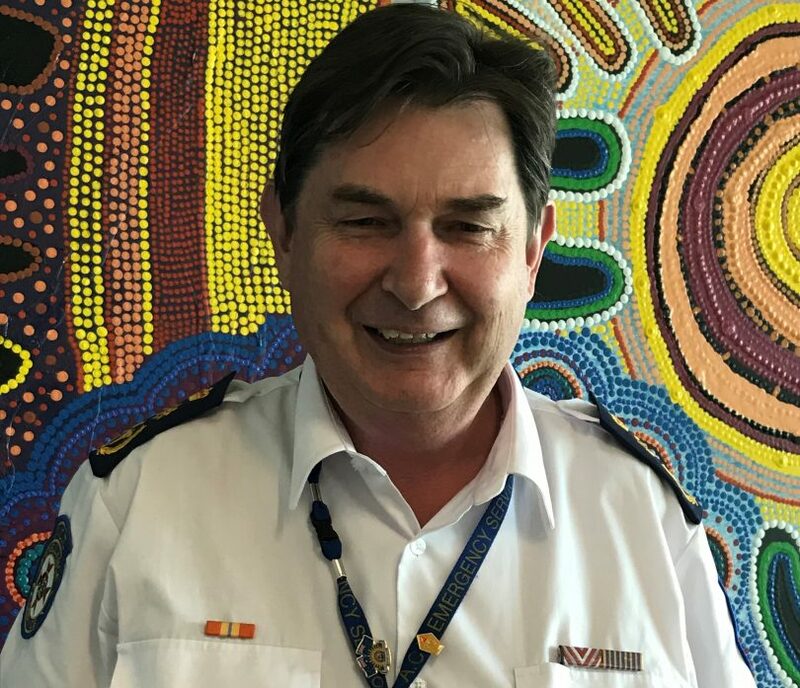 The ACT Ambulance Service’s new Chief Officer is very hopeful of a new station being established in Civic, warning that it may be a case of now or never as the City faces a burst of development and population increase. Howard Wren, who was appointed last week, said a feasibility study for a City ambulance station was progressing well, and that it maybe a once-only opportunity to achieve a presence there, given the scarcity and cost of land. “Work has indicated that we should have a resource in the City but looking into the future when there will be a lot more medium and high-density housing and a lot more people, 15 to 20 years down the track, it will be a lot more important than it is now,” he said. The move for a City station is only part of a big 12 months the Ambulance Service faces as it consolidates its reform process under Mr Wren’s watch. Not only will there be a decision on the City station, but also new policies to manage the sore point of part-time work, the introduction of a new peer support program, and ongoing work to rebuild trust in the organisation. Described only two years ago as having a toxic culture and plagued by bullying, distrust and erratic management, the service had definitely moved in the right direction and there had been tangible outcomes from some of the reforms so far, Mr Wren said. He said rebuilding trust was a priority and open and honest communication would be crucial to achieving that. On the issue of flexible work arrangements, a more transparent and rigorous suite of policies was distributed to staff last week aimed at improving the management of part-time work. The service is also about to select a model for a peer support program that will address some of the issues identified in staff feedback, including more psychological support for paramedics. It will be rolled out early next year as part of an unprecedented national agreement by ambulance services and unions on the mental and emotional health of the paramedic workforce. “It’s been an area that traditionally has not been the subject of much focus and we realise now that we have to address this,” Mr Wren said. A 27-year veteran of the service, the plain-speaking Mr Wren comes mainly from an education role and brings a different nuance to the top job than previous managers. “It is valued that I don’t use management speak or jargon, so my view is that in any form of relationship, it doesn’t matter whether its professional or personal, if you lose trust it is a very big challenge to regain that trust,” he said. “We are going to work on this priority, it’s not going to happen quickly, because that doesn’t change quickly when you’ve lost trust but its all about open communication. Mr Wren committed to explaining difficult decisions to staff and the union, with whom he says he has a collaborative and professional arrangement. Mr Wren said he was keen to see staff levels keep pace with the extra workload being generated by Canberra’s growth and the increasing number of older Canberrans, and the service’s Budget submission reflected that. It was also important that paramedics’ skill levels and preparedness for serious emergency situations be maintained as the number of non-emergency call-outs continued to increase. He noted that while response times didn’t necessarily make a good ambulance service they were an indicator to be mindful of, with Canberra’s still the best in the country despite rising marginally in recent years. Mr Wren said that while the bulk of the reform work would occur over the next 12 months, it would remain an ongoing process. “I think we will always be doing this, refining and finessing how we do business, and in particular with staff,” he said.